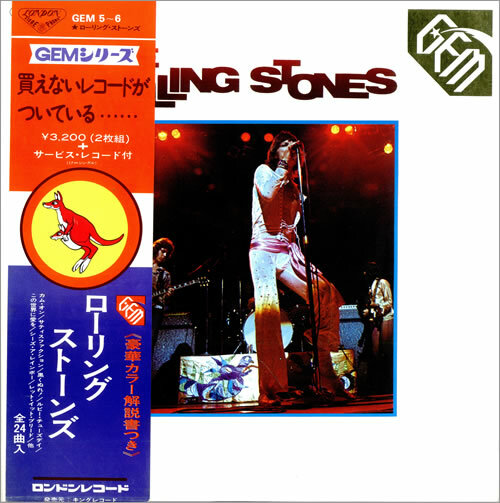 ROLLING STONES Gem/The Rolling Stones (Extremely Rare 1972 Japanese-only London 24-track double LP compilation, comes in a unique deluxe hardback gatefold picture sleeve with 12-page lyric/photo booklet and original obi-strip. The sleeve & obishows very little sign of age, whilst the vinyl has minimal sign of play. This edition is increasingly scarce - a real gem!! GEM5~6).